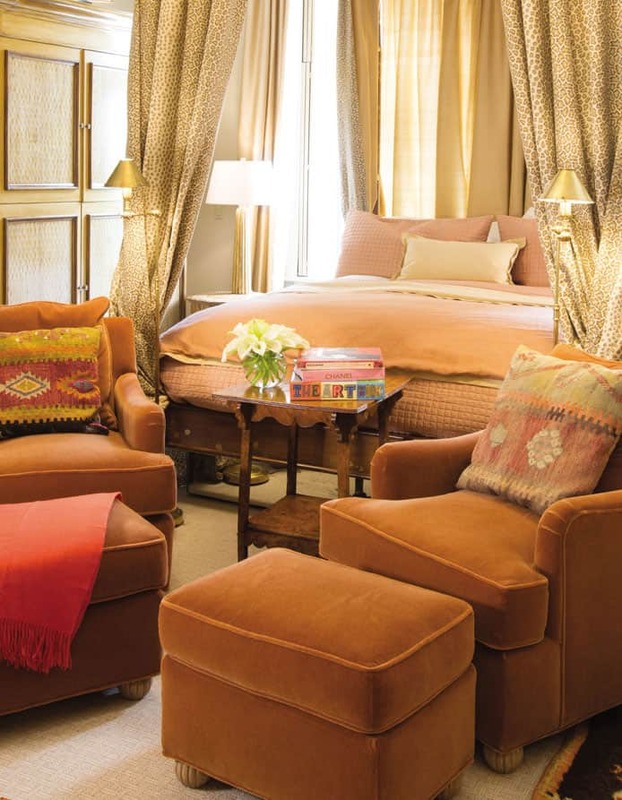 The Ivy Hotel has eight airy, light-filled suites and ten beautiful bedrooms. Each bed is fitted with dreamy 400-thread count Frette sheets, a gas fireplace and a lavish bathroom with heated limestone floor. Some accommodations offer a corner turret with a view of Mount Vernon, some a balcony over the leafy courtyard, some a grand octagonal living room. Each has a character and charm all its own. At any time, a call downstairs summons a pot of tea, a glass of wine, a midnight snack – whatever strikes your fancy. 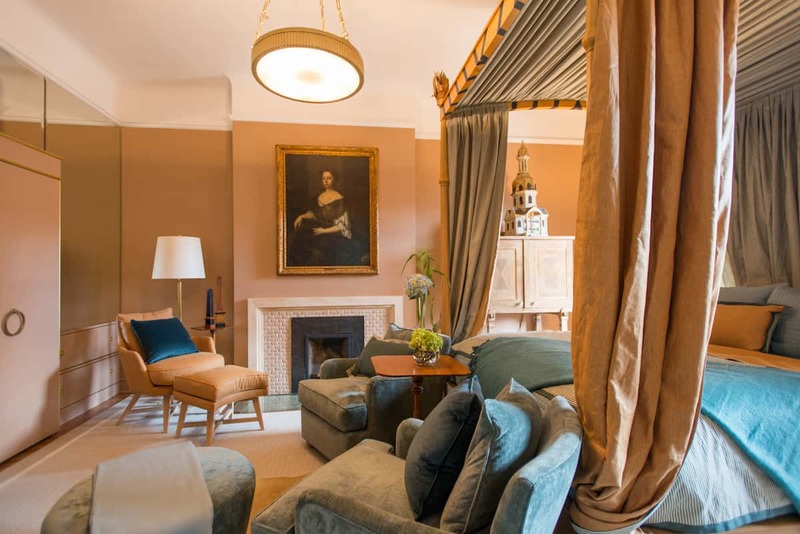 Luxury Suite One centers on a grand, octagonal sitting room with a fireplace and a large private terrace overlooking the courtyard. 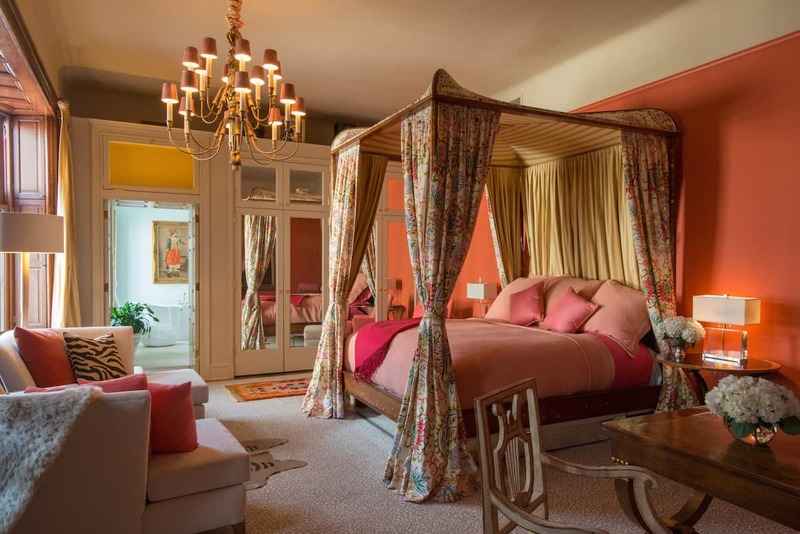 The separate bedroom has a canopied four-poster king bed; while the wonderful bathroom has a soaking tub, walk-in shower and a luxurious heated French limestone floor. 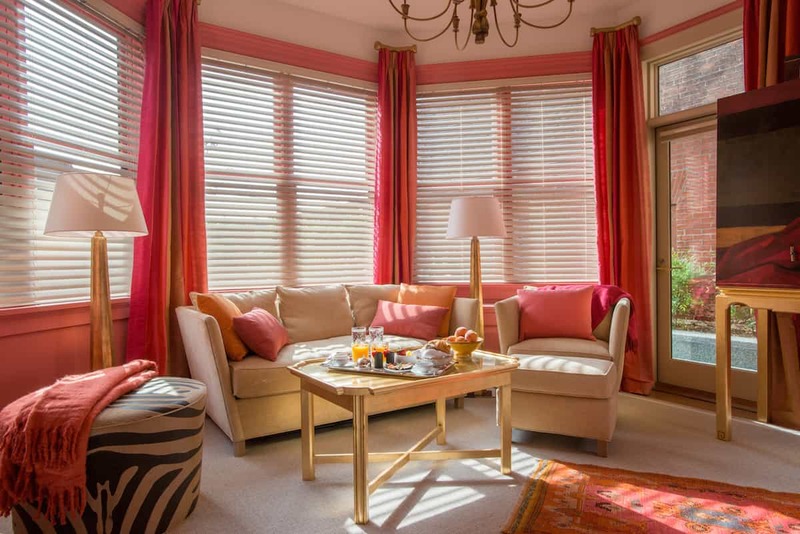 Suite Two is large and airy, with a fireplace and a gracious dining area set before the tall living room windows. 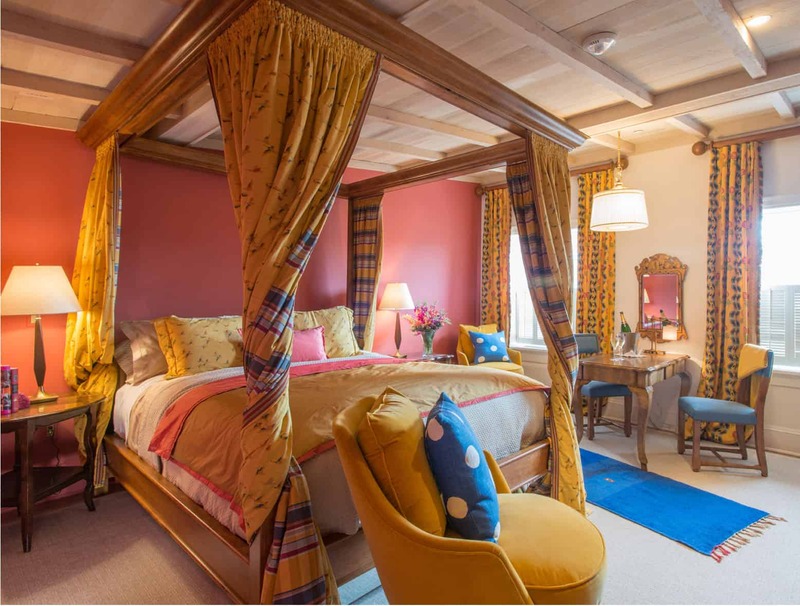 A second fireplace waits in the bedroom, across from the four-poster king bed. Steps away, the bathroom offers a walk-in shower and a deep soaking tub. 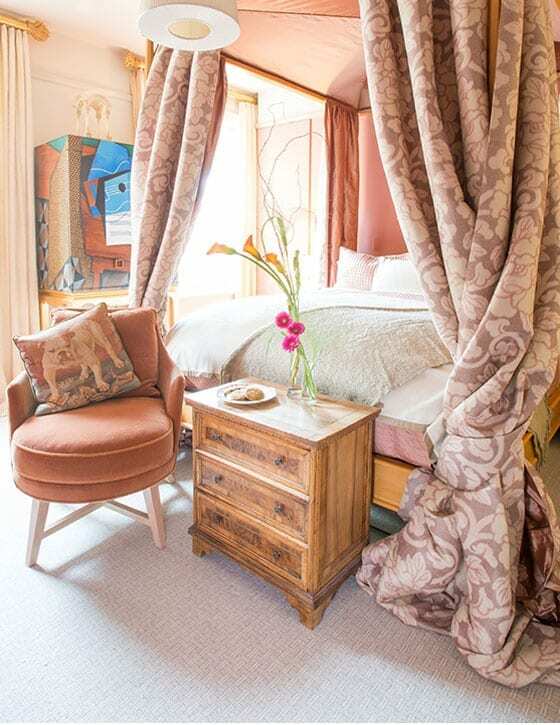 Suite Three has two double beds (and a pull-out sofa, if an extra sleeping berth is required). In the octagonal living room, a couch and two armchairs face the fire; the dining table has a lovely view out over the courtyard. The bathroom has a separate shower and soaking tub. 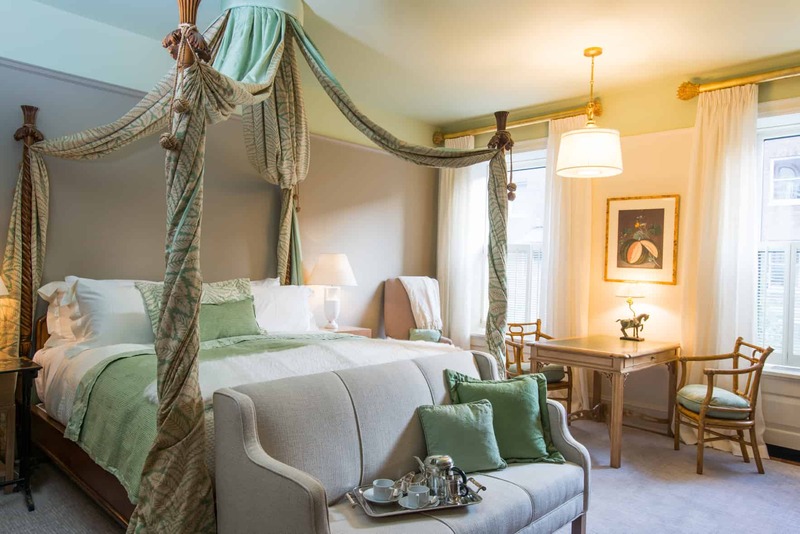 Guest Room Four is a cozy, welcoming room with a king-size, canopied bed facing the fireplace, as well as comfortable reading chairs and desk. The bathroom has two vanities, a walk-in shower and a deep soaking tub. Guest Room Five (ADA-compliant) has a king-sized bed and a seating area beside the fire. Room Five is close to the elevator for ease of access; the bathroom has a soaking tub, walk-in shower, vanity and heated limestone floor. Mansion Room Six, the original master bedroom of the house, is a large, light-filled room with a fireplace and its original, plaster filigree ceiling. The room can connect through a private hallway with Suite Seven to create a large two-bedroom suite. 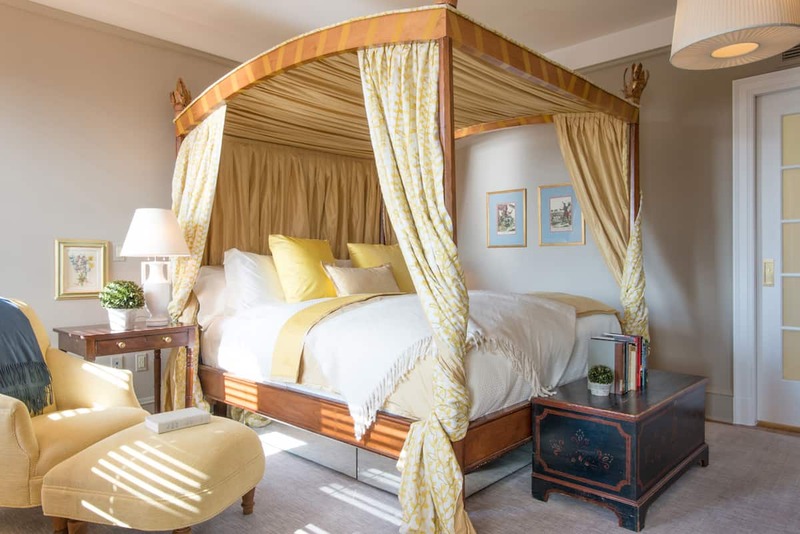 The Master Suite, Suite Seven, is a magnificent group of rooms, with two fireplaces – one in the living room, the other, flanked by chaise lounges, in the large bedroom. Mirrored doors on the ample closet seem to double the space. The big bathroom has two vanities, a soaking tub and a separate shower. Suite Seven can adjoin Room Six through a private hallway if requested. 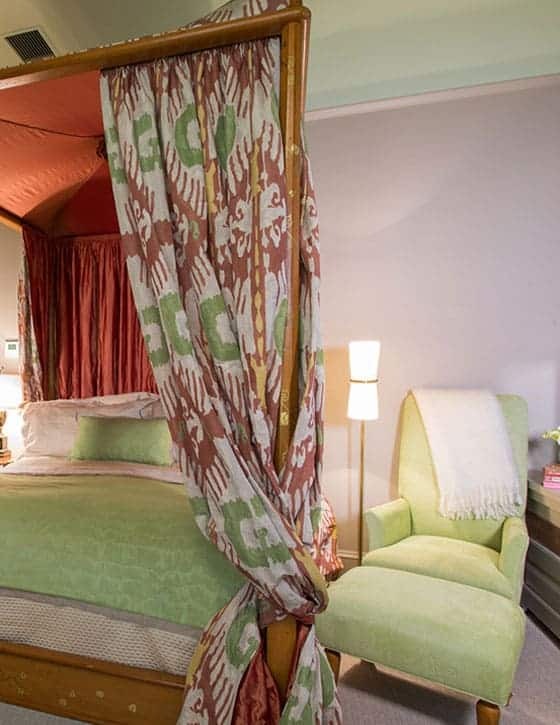 Room Eight is trim and elegant, with a canopied, queen-size four-poster bed, a small fireplace, and a private balcony overlooking the courtyard. The bathroom has large walk-in shower and heated limestone floor, but no tub. Room Eight is a very nice, cozy room, close to the Ivy Spa. 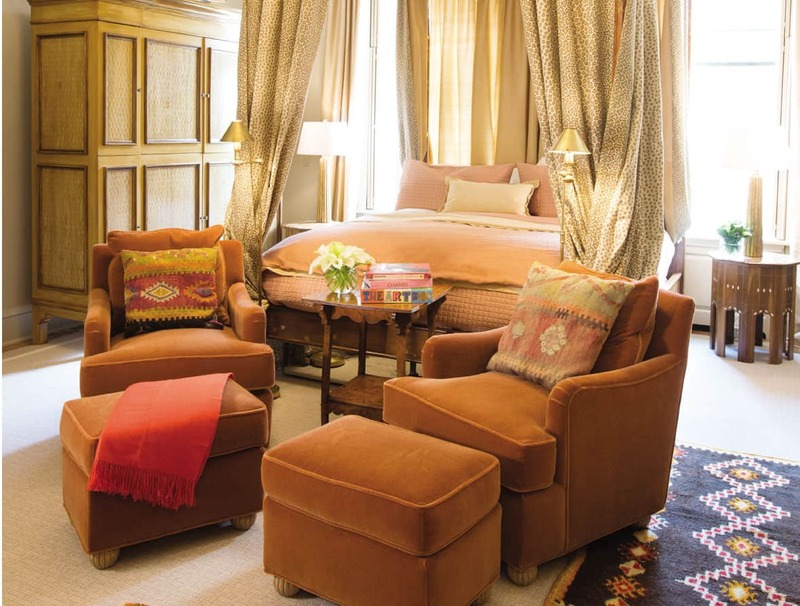 Suite Nine is on The Ivy Hotel’s third floor, overlooking the courtyard. The living room has a wonderful seating area facing the fireplace, a dining table and a desk. 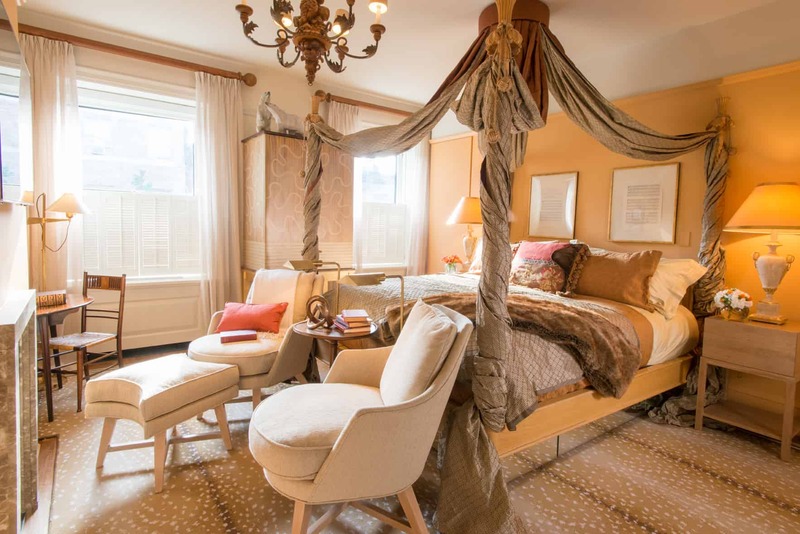 The bedroom has a king size, four-poster bed. The bathroom of Suite Nine has a deep soaking tub and a walk-in shower. 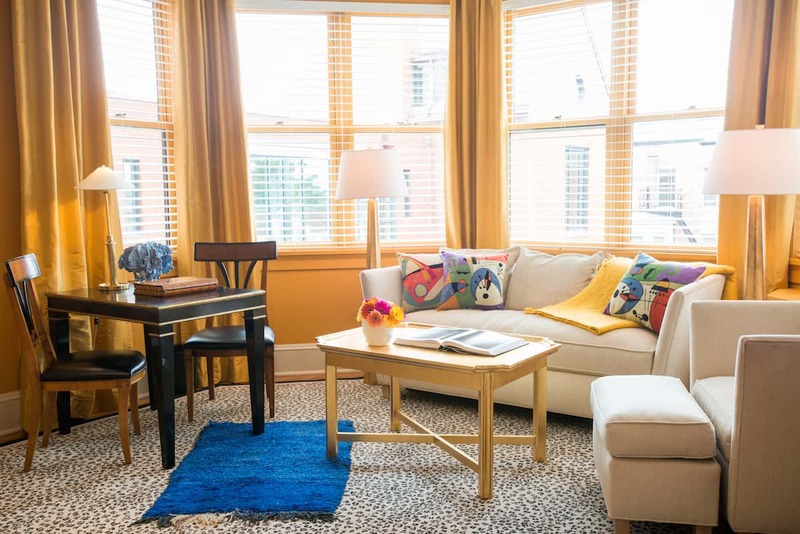 Guest Room Ten, intimate, warm and welcoming, is tucked in a corner of the mansion overlooking Calvert Street. Room Ten’s bathroom is suitably luxurious, with a walk-in shower, deep soaking tub and heated stone floor. This room can connect to Room Eleven if desired. Guest Room Eleven is a cozy but very romantic room with a king size bed, fireplace and sitting /dining area. This room can connect to Room Ten via a private hallway, if you wish. 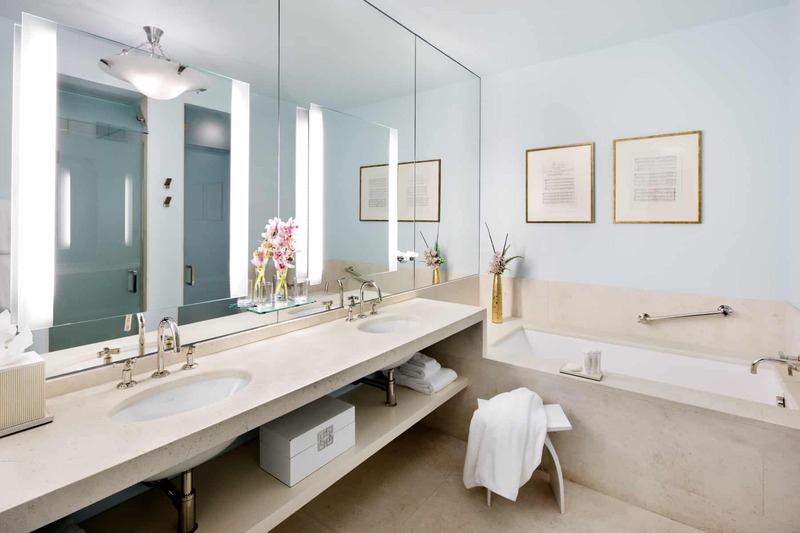 There is a single vanity in the lovely limestone bathroom with a deep soaking tub and separate shower. Mansion Room Twelve is on the third floor of The Ivy Hotel, overlooking Calvert Street. 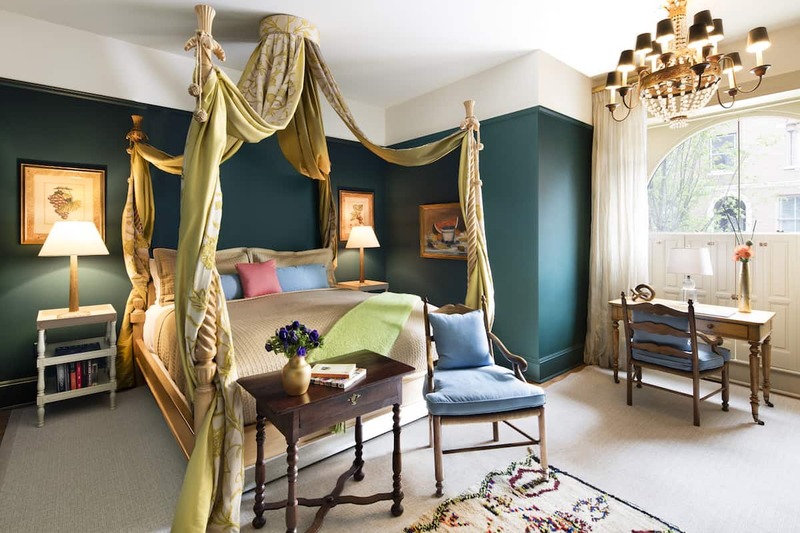 It has a regal, cosseted feel to it, with a grand canopied bed, deep arm chairs, and cozy fireplace. This room can adjoin with Room Thirteen, if requested. 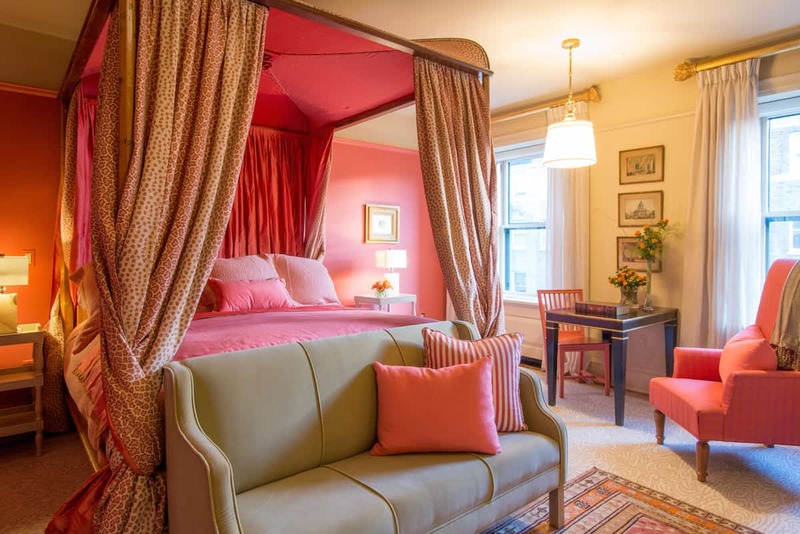 Mansion Room Thirteen is generously sized corner room, perfect for Baltimore weekend getaways. The dining table in the turret looks out over bustling Mount Vernon from our romantic Baltimore accommodations. This room can adjoin with Room Twelve to make a very large suite. Suite Fourteen stands at the top of the house, and has a living room overlooking the courtyard – perfect for morning coffee and a good book. 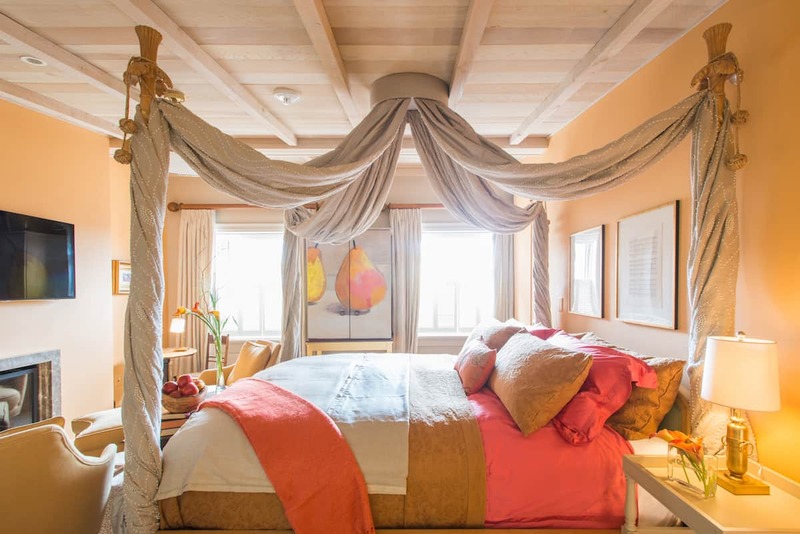 A king-size canopied bed faces the fire. 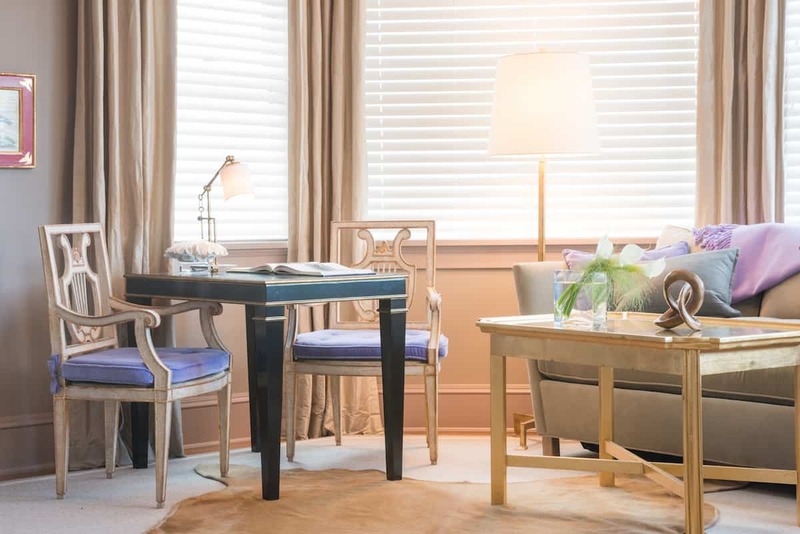 Suite Fourteen has roomy, built-in closets and a full bath with heated limestone floors. Guest Room Fifteen, set in a private corner on the fourth floor, feels like a storybook space, with its vaulted, wood plank ceiling, exposed beams and tall windows. 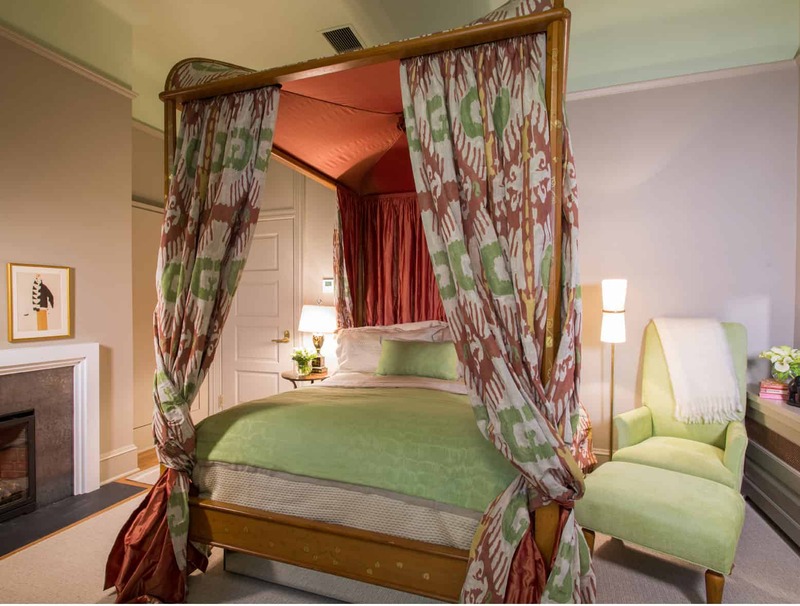 The cloud-soft, four-poster bed has a view of the fire and the twinkling streetlamps and slate rooftops of Mount Vernon. A sumptuous private bath is steps away. 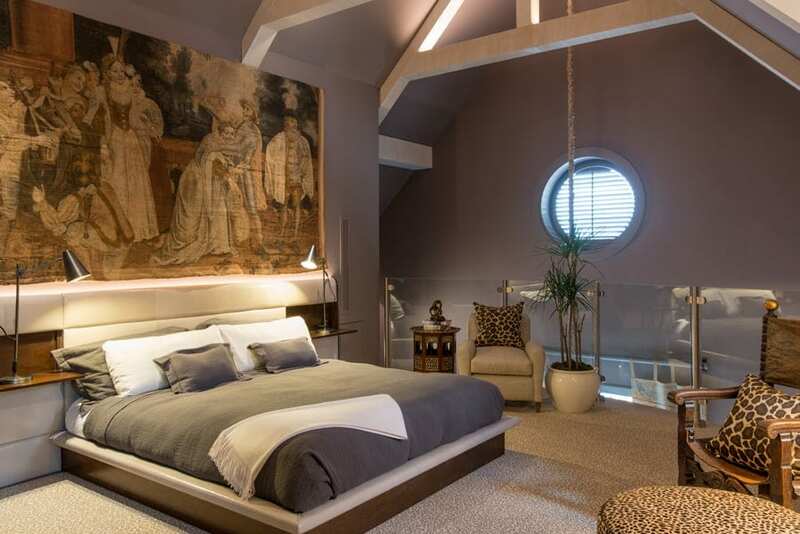 Guest Room Sixteen is on The Ivy Hotel’s top floor, set under the eaves like a secret retreat. 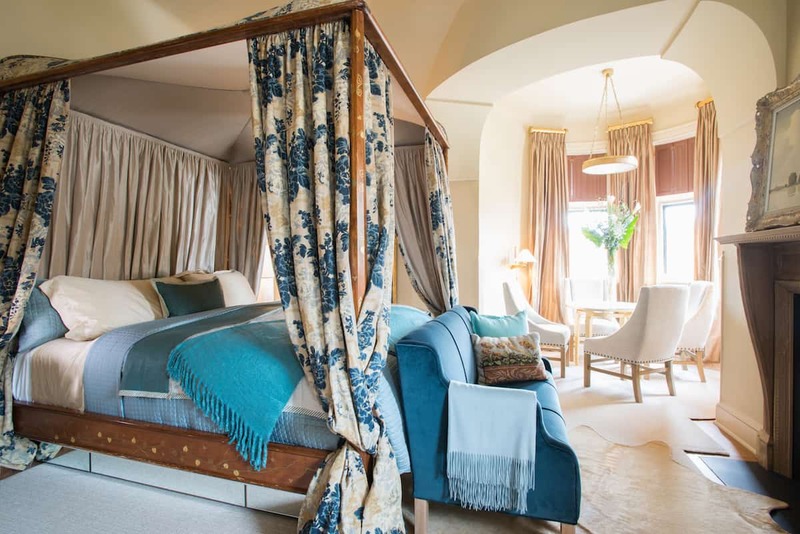 The luxurious bathroom, four-poster bed and lovely fireplace just enhance the sense of decadent privacy. The soaking tub sits in its own annex for absolute relaxation. 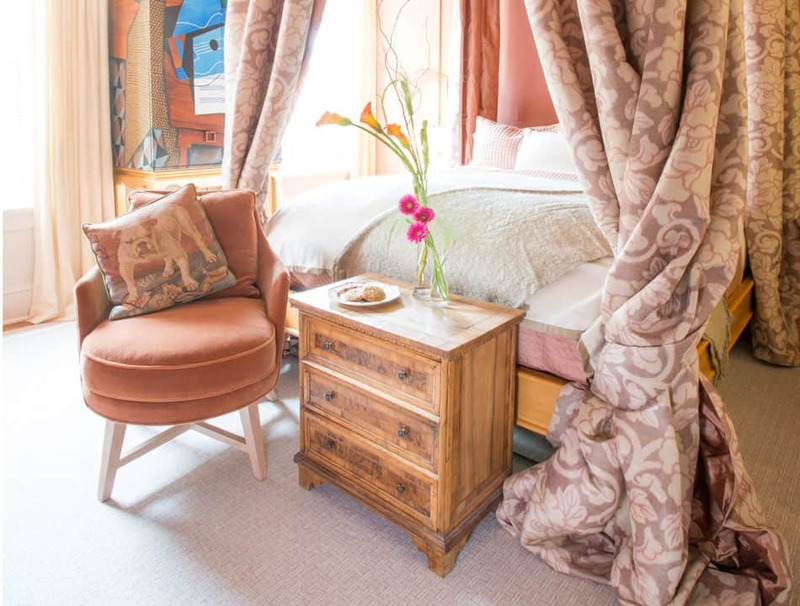 Luxury Suite Seventeen is a large, yet intimate, suite of rooms at the top of The Ivy Hotel, with two chaises pulled up near the fire and a round window in the stunning bathroom. A small unique office is across the private hall. 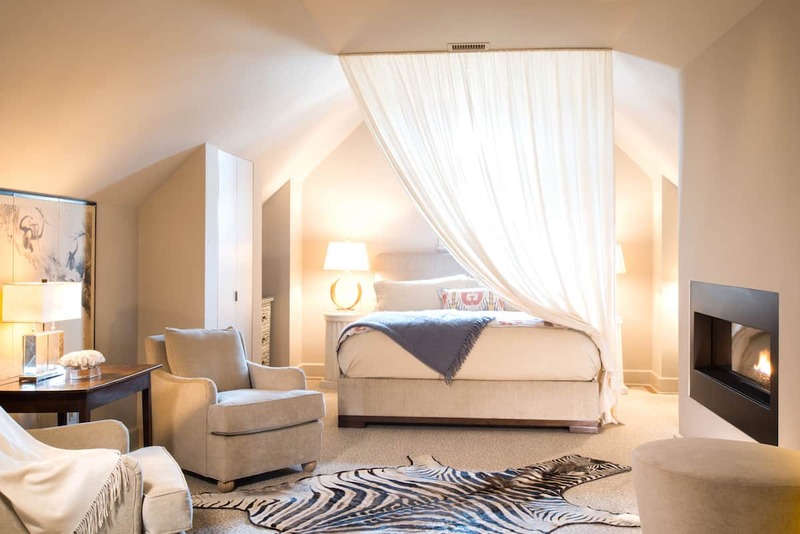 Luxury Suite Eighteen is a magnificent two-story suite that spans the second and third floors of The Ivy, with a living area, fireplace and powder room on the lower level and the bedroom and bathroom on the upper level. Adjoining the Ivy Spa, Suite Eighteen is the only guest facility in the tower — a very private and most wonderful retreat.